We put 100% effort into displaying every car we feature on Motor Verso in a unique way. 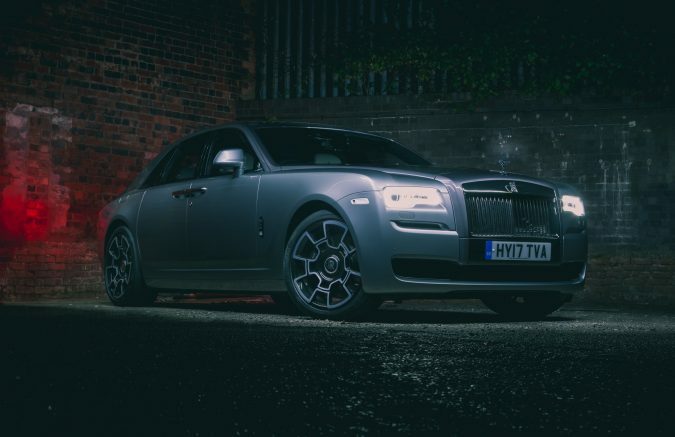 Our resident automotive photographer Ross Jukes is slowly carving out a niche with some clever light tricks shot in pitch-black conditions. 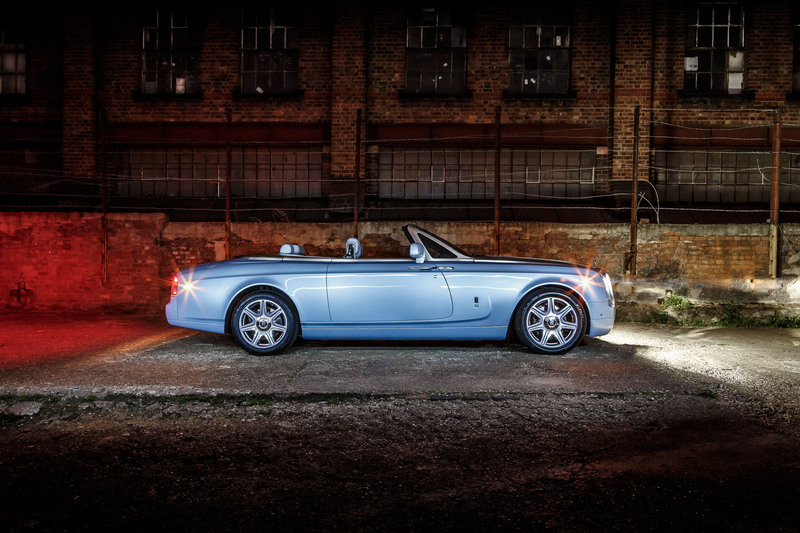 Take a look at some of our favourite pictures below. This picture was taken on a 2 minute exposure in a pitch-black landfill site. The DS3 Racing was first painted in light with a white LED torch, then a flaming rope was carried around the back on a carbon-fibre pole. We shot several exposures of this over a few hours, but it turned out the first shot we had was the best in the end. 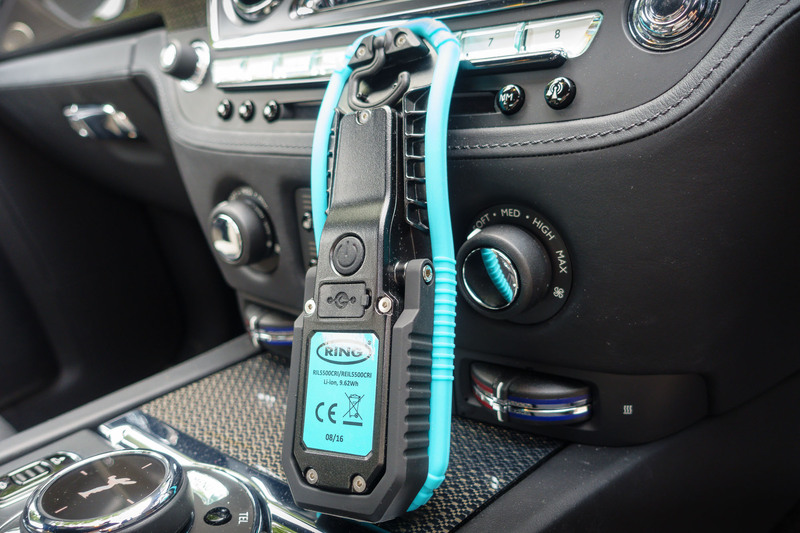 At the moment, our favourite type of light to use is the AL5 Colour Match Inspection Lamp from Ring Automotive. The COB LEDs create 430 lumen at 4500k, and they do have a 6000k light available too. The benefits of the tool for light painting are huge here. First, the quality and intensity of this light is incredible. 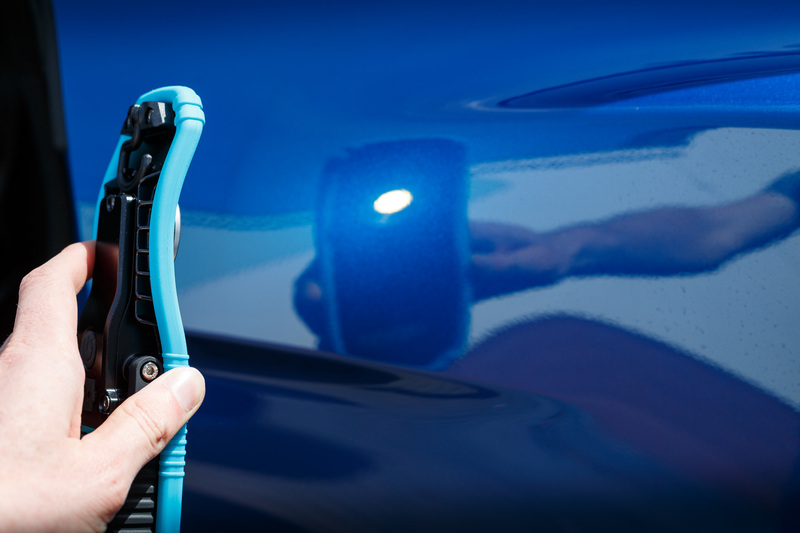 It’s like carrying a small security light around in your pocket – that’s how powerful it is. After the first time using the light, we loved how it made the car’s paintwork look. 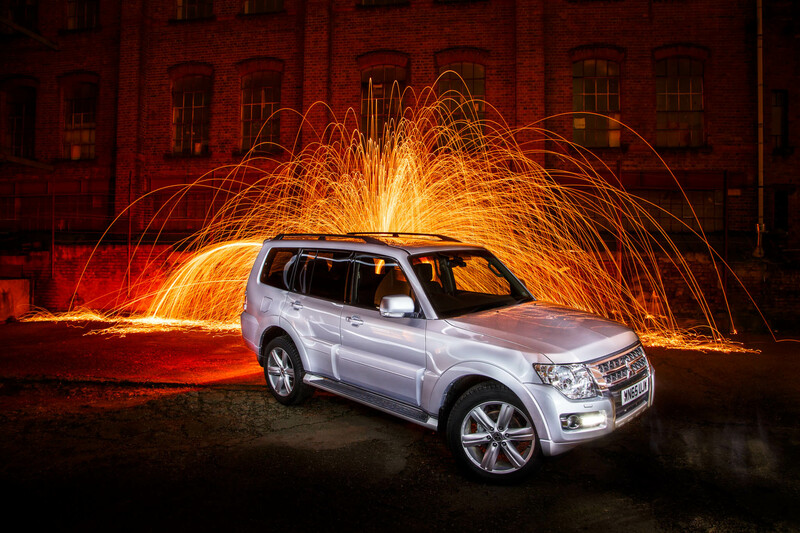 Second, the light’s design is perfect for photograph light painting. The inspection lamp has built-in shoulders to prevent you from accidentally pointing the bulb towards the camera and spoiling your long exposure. These are the two major points that make the lamp so suitable. However, there are lots of other benefits to these lamps. 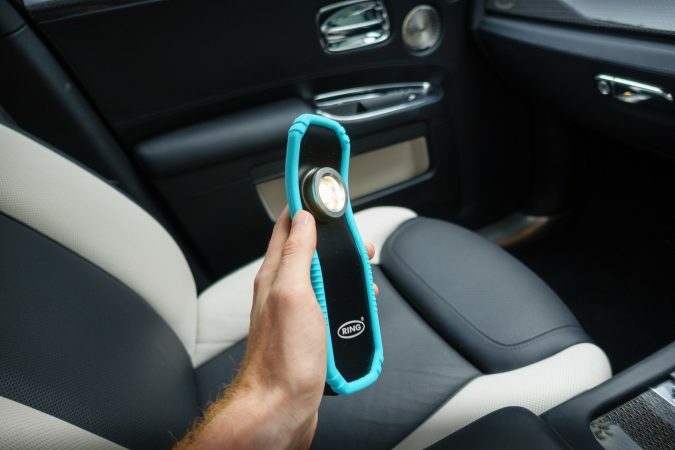 The ergonomics of how it fits in your hand feels very natural. The battery lasts forever – we rarely have to charge them. There’s a magnetic arm meaning we can mount the light if needed. 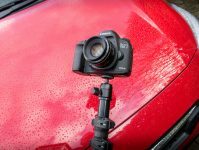 We can use them in the rain because they’re relatively well water-sealed; and, because they are wrapped in rubber, we have little chance of damaging the car’s paintwork with them. I would certainly encourage anyone light painting to have a look at getting one. Depending on your subject you’ll have to make the decision between the 4500k and 6000k light. This shot was taken parked at the side of the road with the camera on the tripod. The passing cars lit the DS3 using their headlights and left a trail across the image, making for an interesting shot. This next photo was taken on a late summer night, as you can see from the sky. 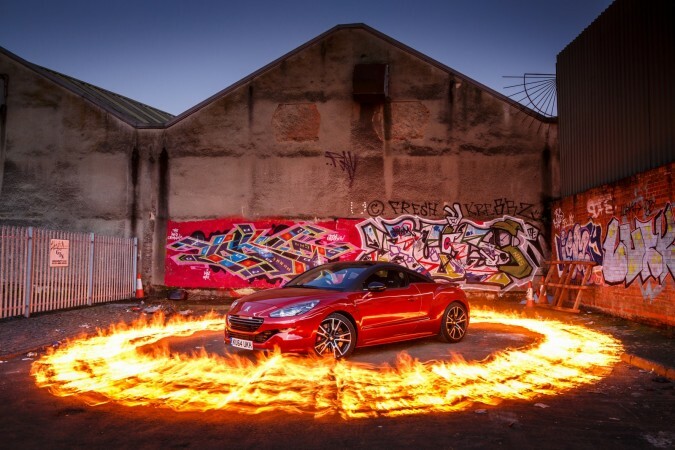 On roughly a 2 minute exposure we lit the RCZ R using a 4500K CRI COB LED Ring light. 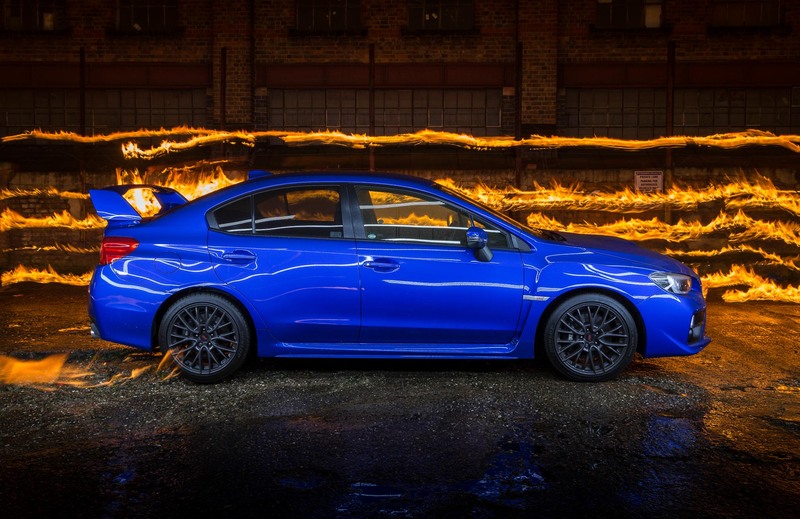 We then carried a flaming rope around the car slowly held on 2 carbon-fibre poles. 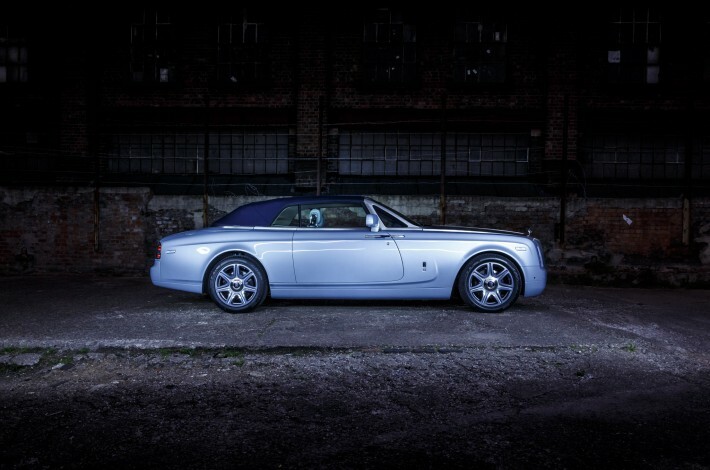 The gorgeous Phantom was shot in the dead of night, over around 30 seconds. The car was lit using a white LED AL5 torch and the headlights switched on to provide some ambient lighting to surrounding areas. This fiery Shogun was shot in front of a factory unit, with exposure taken over around 2 minutes. The car was lit using a torch with Ross behind, spinning some wire wool doused in flames. 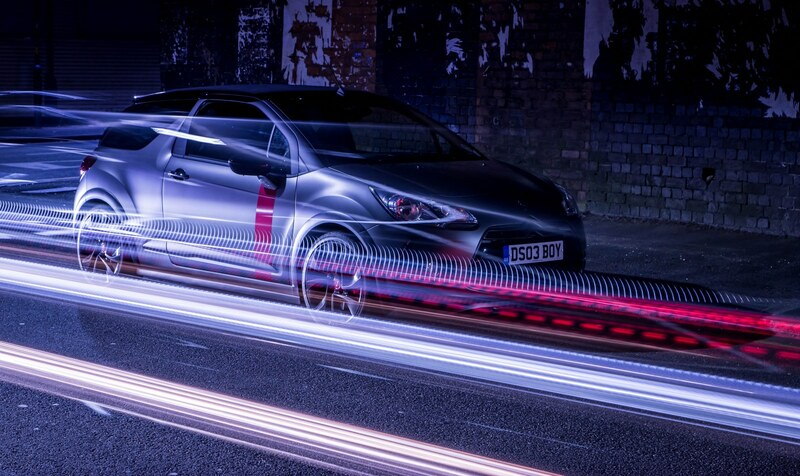 As you can see, once the shutter closes this effect creates quite an impressive photo. 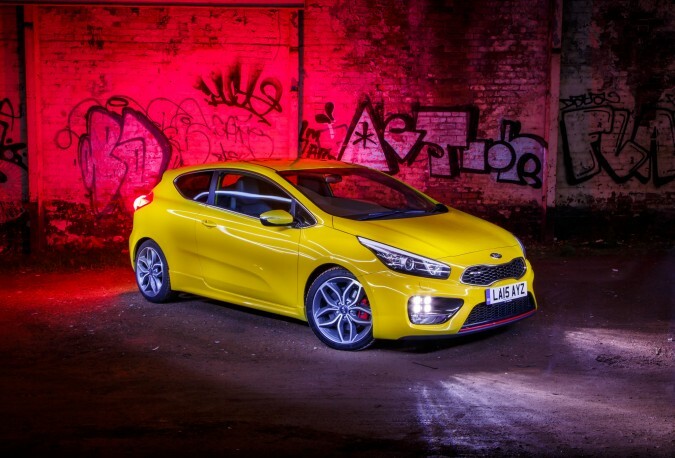 We managed to find a bit of urban decay to shoot the Kia pro_cee’d in a car park. Backed up against the grafitti wall, we poured a bit of light on the car and allowed the rear-lights to light up the wall, which helped to add contrast to the bright yellow. 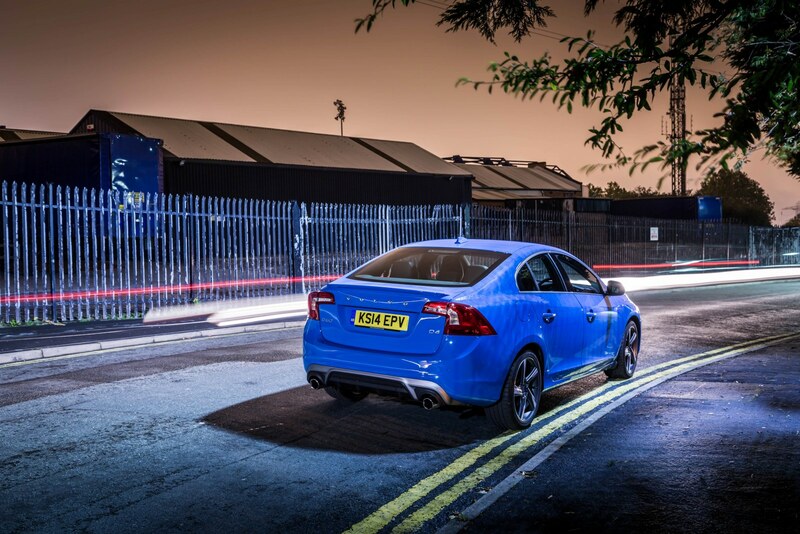 Lastly, this Volvo S60 was shot a on a quiet streetlight-lit road. With roughly a 10 second exposure we caught a car passing the S60, simultaneously lighting up the car and creating a light trail. 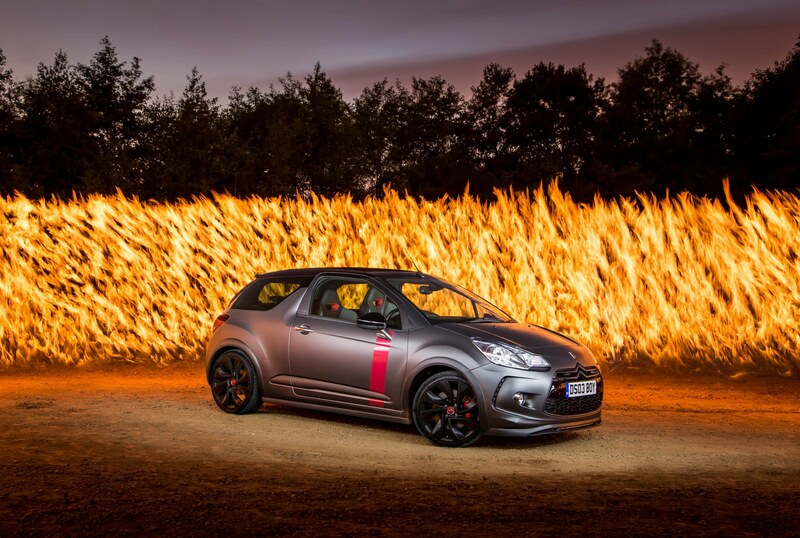 Similar to the DS3 shot above, this image was captured over 2 minutes, first painting the car with the AL5 light and then carrying a rope on fire behind the car to create the firewall effect. One of my favourite images made using the AL5 LED inspection lamp was light painting the Rolls-Royce Ghost Black Badge. 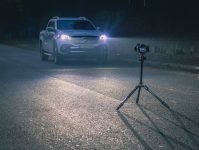 This was around a 30 second exposure, then we carefully painted the light onto the car with the torch to craft this mysterious looking Ghost.